Steamed crabs are not all Maryland is known for. Our great state is also pretty infamous for its hot and humid summer weather. Ugh! It’s mid-July and homeowners everywhere are being forced to crank their air conditioners higher and higher in order to beat the heat and stay cool. As you can imagine, those BGE bills are also on the rise. If all you heard while reading that quote was “ca-ching!” you are not alone. Summer can be a real drain on a homeowner’s bank account. Fortunately, there is a way to counter this problem: Ceiling Fans. When used in conjunction with air conditioning, ceiling fans can help make a big difference in terms of energy efficiency. A ceiling fan allows you to raise the thermostat setting about 4°F with no reduction in comfort. The only reduction you will experience is on your BGE bills. Ceiling fans circulate the cooler air throughout the room, helping to maximize the efficiency of your air conditioner. However, temperature alone is not what makes people feel cooler. The moving air makes a big difference as well. Moving air can feel up to four degrees cooler than still air. 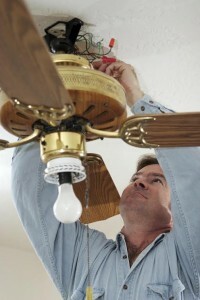 Over the course of the summer, the continued use of ceiling fans can add up to significant savings. Whether you want ceiling fans installed inside or outside of your home, TriStar Electric can take care of your project quickly and efficiently. Once your fan is installed you will notice that the room is cooler in the summer. Aaaaah! Your wallet will thank you later. It all starts with a home visit. A TriStar electrician will examine the area where the fan will be installed and make recommendations – fan size, number of fans, etc. – based on the size and shape of the room. On the installation day we will prepare the area and then get to work. TriStar Electric’s electricians are highly experienced and will make sure that the fan is securely installed and properly balanced before they leave your home. Beat the Heat with TriStar Electric! 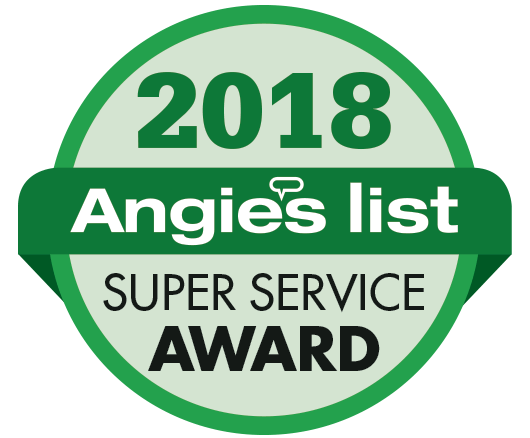 If you have any questions about the installation of Ceiling Fans in Maryland, please contact TriStar Electric by calling 410-799-5791 or 301-384-8880 or fill out the contact form on our website. Our electricians can provide you with a competitive quote that covers every stage of the process – from installation to final testing. This entry was posted on Friday, July 18th, 2014 at 1:45 pm. Both comments and pings are currently closed.